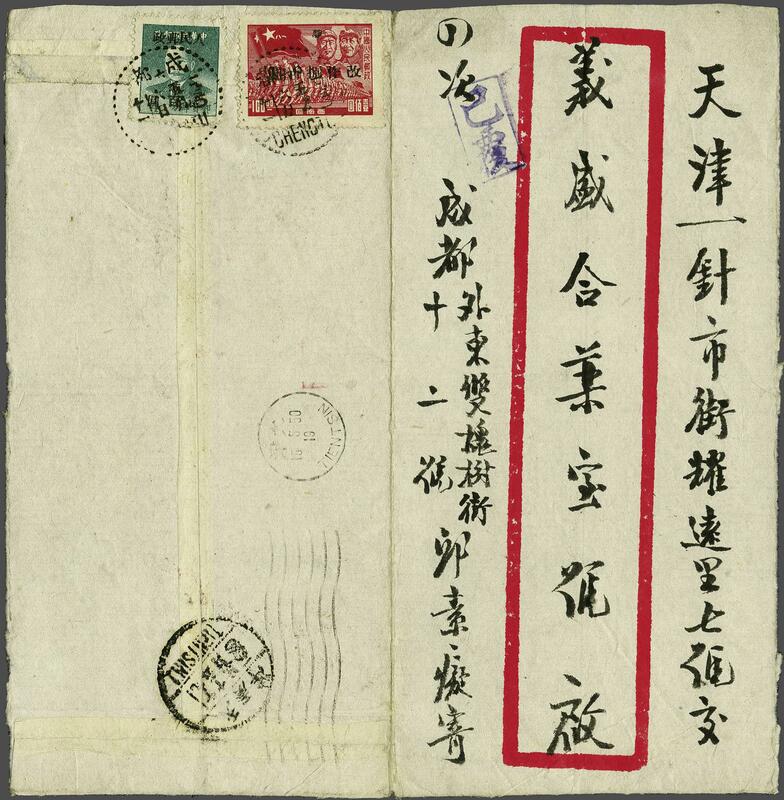 Communist West Sichuan 1950: Cover to Tientsin franked by Jan 1950 overprinted $ 800 on $ 100 carmine and April 1950 $ 200 on SYS 4 c. blue-green tied by dotted 'Chengtu' datestamps in black. Tientsin machine cancel of arrival below (May 15). Fine usage of scarce issues on letter.